Dentistry has changed a lot over the years with the addition of new technology and advanced procedures. A heightened focus on preventive care and services helps patients avoid costly and invasive procedures by consistently maintaining their oral health. The atmosphere in the office has also changed with many corporate dental chains emerging focusing on fast procedures and an increased volume of patients. 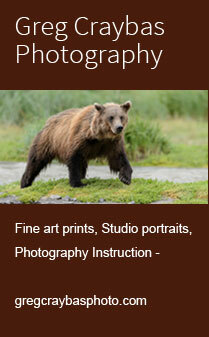 This typically results in less attention to personalized service. While this type of business model meets the needs of many patients, there is no room for a patient-focused approach. Your dentist in Syracuse shares why patient-focused dentistry is important. Teeth Whitening: Can I Do It Myself? 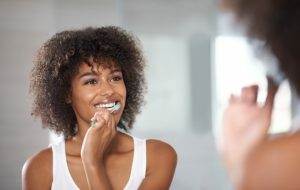 Besides all the whitening products you find at your grocery store, a new trend of whitening your teeth at home with household products is arising. The question is, are these products safe for your teeth and your oral health? 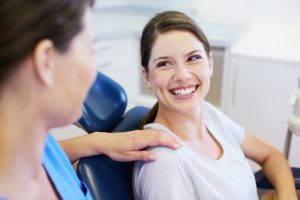 Your dentist in Syracuse shares some information about do-it-yourself whitening how to safely achieve a brighter smile. Comments Off on Teeth Whitening: Can I Do It Myself? Hearing the news that you need a dental crown is disheartening enough without having to find 2-4 weeks in your busy schedule to fit treatment in. Well, gone are the days of wearing unreliable temporary crowns and waiting weeks for your final restoration, thanks to CEREC technology. Your dentist in Syracuse explains how this state-of-the-art technology will benefit you. Have you ever considered the level of customer service you receive from your dental office? You should! Creative Dental Concepts is revolutionizing the way that patients experience dentistry with concierge style dentistry. 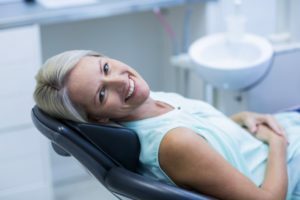 You might wonder what this entails, and your dentist in Syracuse will explain how this concept will change your experience at the dental office and what you can expect during your appointments. When your tooth is compromised, it’s hard to know what to do. You may be experiencing discomfort that makes it hard to eat and chew. You may even have pain that’s affecting your daily life. Many dentists might recommend an extraction at this point, but you may benefit from a second opinion. Your dentist in Syracuse could have other options for your tooth! With more and more information emerging about the links between oral health and overall health, we can’t emphasize enough how important your routine visits with your dentist are for maintaining your well being. One aspect of your mouth that you may not realize affects your body is your TMJ, or temporomandibular joint. When this very complex joint is not working properly it greatly affects your health. 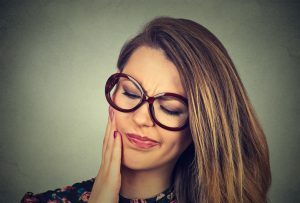 Your dentist in Syracuse discusses how TMJ impacts your health and what you can do. 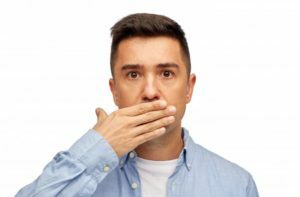 While it’s not a cancer that’s at the forefront of most people’s minds, did you know that oral cancer affected more than 45,000 Americans in 2016? Oral cancer is responsible for many deaths each year, not because it’s not treatable, but because it’s typically discovered too late. April is Oral Cancer Awareness Month, and your team at Creative Dental Concepts wants to discuss the importance of checkups with your dentist in Syracuse. It might seem funny to compare your gums to the foundation of your house, but that’s exactly what they are – the foundation for your teeth. Without healthy gums to support them, your teeth would be in big trouble! Your gums can also give you insight into your overall health and well being. It’s been determined that periodontal (gum) disease has a direct connection with other health issues in the body such as diabetes, heart disease, high blood pressure, and vice versa. 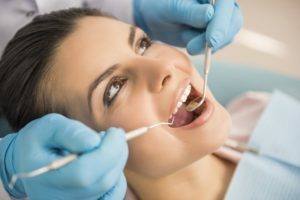 Your dentist in Syracuse discusses the importance of healthy gums. 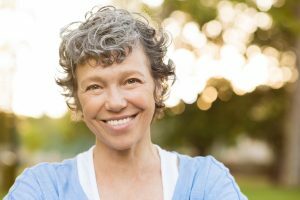 When you have a tooth that is failing or missing, restoring your tooth with a dental implant is one of the best investments you can make in your oral health. 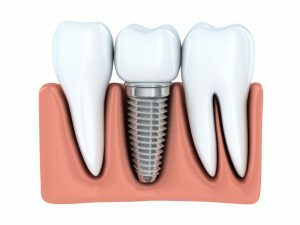 Dental implants not only restore your confidence and self esteem, they also protect the integrity of your oral health. Creative Dental Concepts has more information for you about dental implants in Syracuse and how to care for them after your procedure.